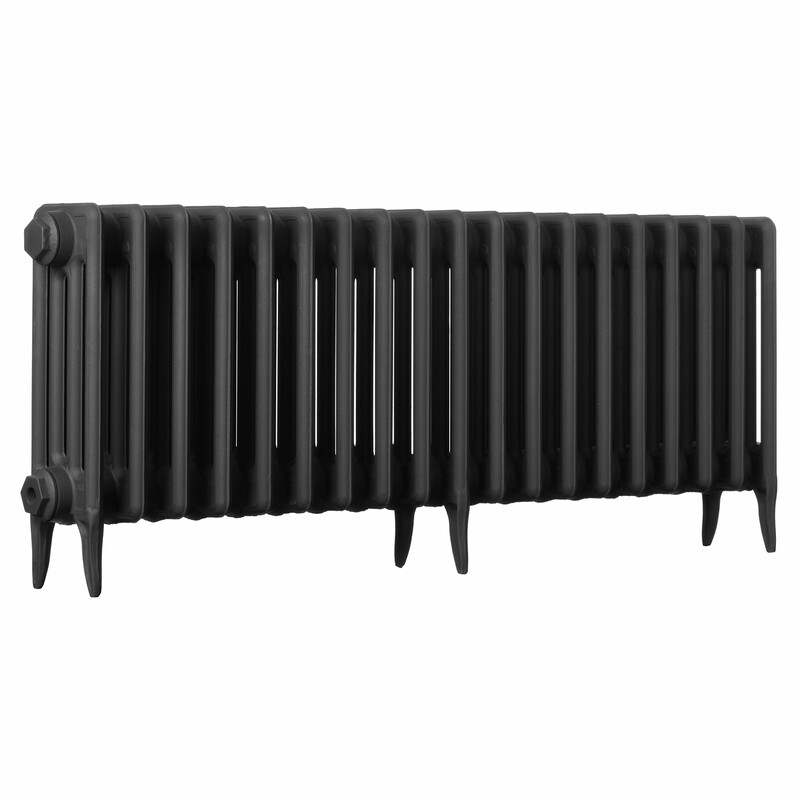 Height is 460mm from floor to top of radiator. Fantastic in all respects! High quality and great price. Exceptional delivery and packaging. Will be ordering more! Straight forward fitting. With standard air bleed valve had to raise radiator on bleed side temporarily to remove maximum air. Very happy overall! 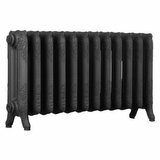 We're pleased you would like to review Traditional Victorian 4 Column 460mm Cast Iron Radiator. 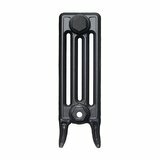 Fast delivery, good commincation, excellent product. Very helpful phoned order through and really professional good advice. Ordered from here as price was keen and website clear and transparent. Communication from start to finish was clear and efficient. Goods delivered to Kent for a reasonable cost and within timescale promised. I’ve inspected the goods and they all look to be quite attractive. Haven’t yet installed the rads as let down by plumber. Very happy. Exactly as ordered. I'm very happy with my purchase. The price was better than other sites and the service was accurate and responsive throughout. Good commutation during delivery too. 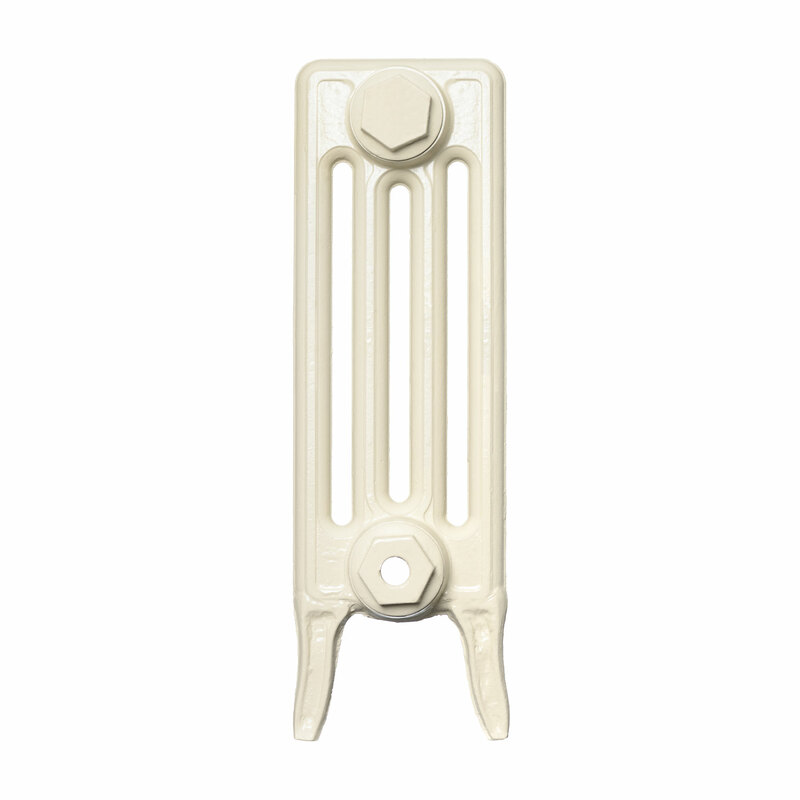 The cast iron radiators are well made with a high quality paint finish. The product is great value for money and I am more than happy to recommend these cast iron radiators to anyone how are looking for high quality radiators at affordable prices. Ordering was simple and delivery was as stated at the time of ordering. A fantastic service. 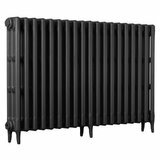 The radiators that we received are of a fantastic standard and great value for money. We collected as we live local, the staff were very friendly and extremely helpful. We would strongly recommend this company. Excellent website, price and prompt delivery. 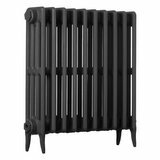 We are very pleased with all our radiators and accessories and would have no hesitation to recommend the cast iron radiator company. 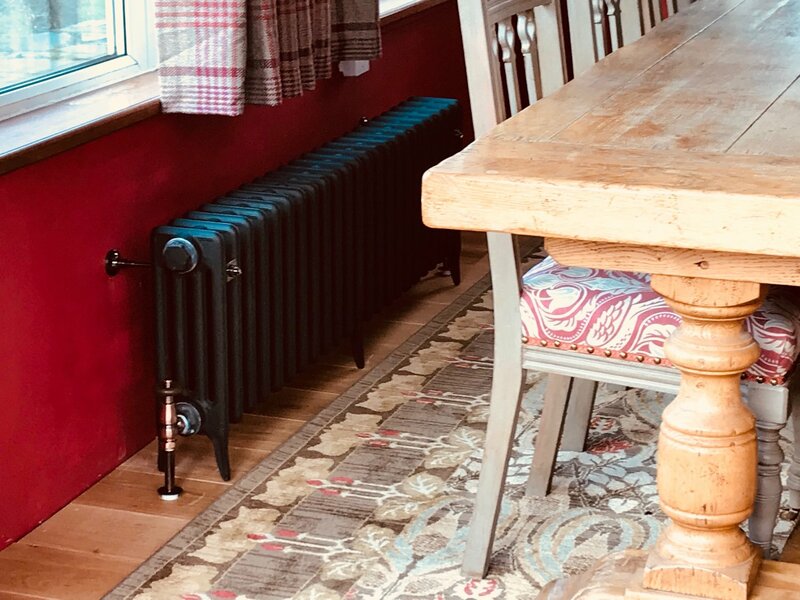 Really pleased with the radiator, and great value for money. 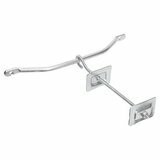 We were kept well informed of the progress of the order and received lots of helpful fitting instructions. We will definitely be using this company again. 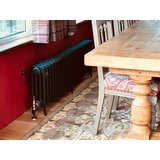 I bought radiators from you in December 2017, and had them fitted in February 2018. Unfortunately there were issues with some of the silicone rings - I was informed that this was likely due to the installation, and the pH of the system. 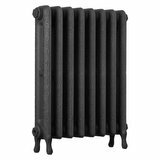 The Cast Iron Radiator Centre's service in organising replacements was exceptional, and could not be faulted. Special mention to Paul and Tina (both of whom did so much to help with resolving the issues, and arranging delivery in quite a narrow window). Thank you! 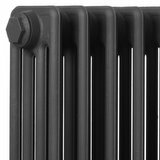 We have bought these radiators in the past, not only good value but an excellent product supported with a first rate service. We would buy again without hesitation. Really great rads. Impressed with the quality and overall service from the Cast Iron Radiator Centre. Great product and looks amazing, service has been perfect all the way through even when I added to the order it was all shipped together with no delay. Excellent product and more than excellent service. 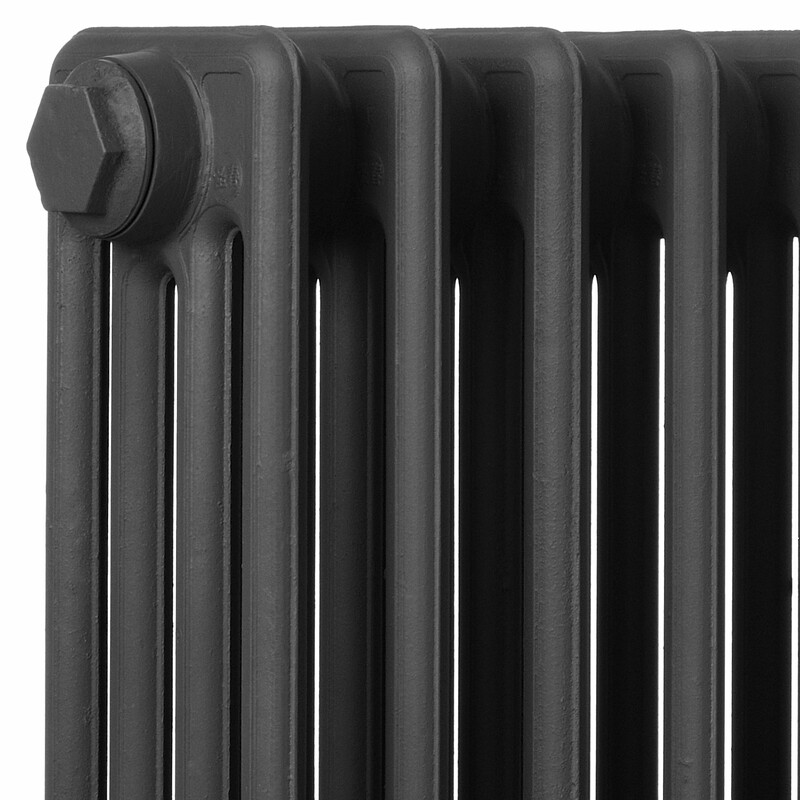 It’s not just a radiator.. it’s a piece of art! Absolutely beautiful.. Thank you. 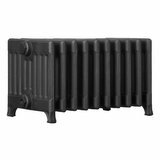 Great quality radiator, service second to none. Incredibly stylish, easy to fit! Looks great and matches the style of our house. Real longevity of heat. Great! 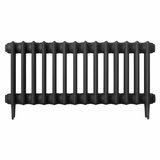 Ordered 1 radiator, will order 6 more. 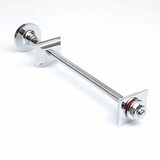 Great looking stylish classy, reliable delivery. Never having seen these items in real life our expectations were exceeded. Beautiful items, beautifully painted and delivered on time with no hassle. Thank you. These are works of art. The product was exactly as described and looks lovely in it's new home in our lounge. The customer service was very good. They kept us fully updated at all stages and were most helpful when contacted with any queries. The radiator arrived when on time and well protected. The instructions that came with the radiator where very helpful. Thank you very much. 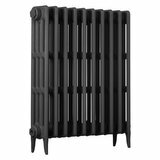 The radiator looks great and performs well. The service was excellent, with frequent emails to report on its progress. It arrived well packed and in perfect condition. I would use the firm again. The radiator looks great. Exactly as shown on website. Really impressed, looking at ordering more. Great service and updates from initial order date. Delivery company sightly let me down by arriving in afternoon, when it was an am delivery. 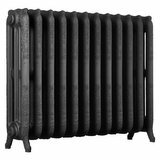 This is the second radiator we've had from Coventry Demolition and we are over the moon with it. The gun metal grey finish looks great and it kicks out a decent amount of heat. Everyone comments on it. Ordering is easy and their customer service is great. We'll be back again to order another one. 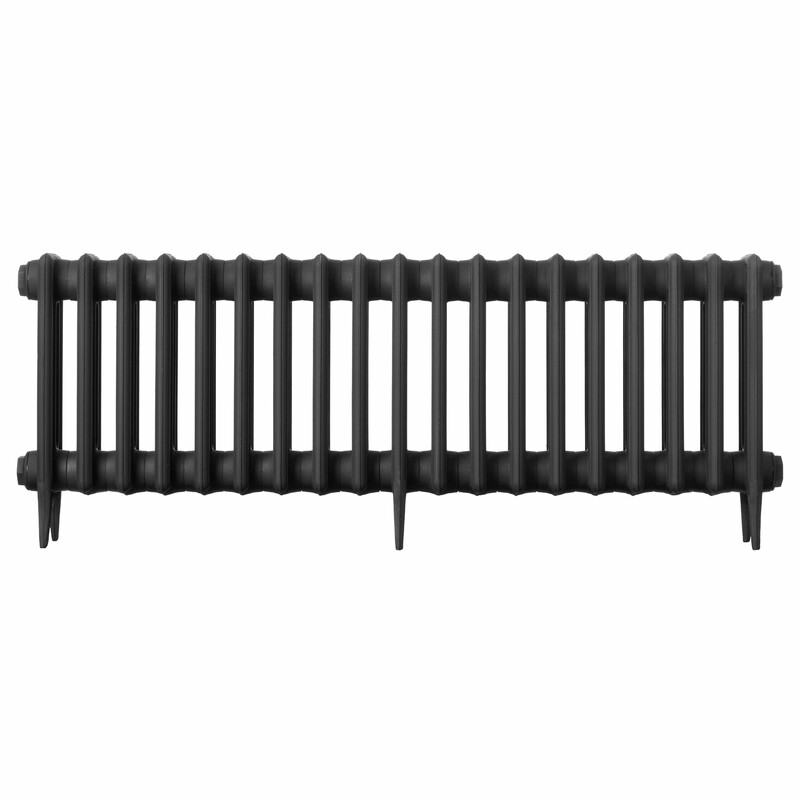 We ordered 10 radiators for our office and apartment and they are amazing. Delivery was as scheduled and radiators are great and work so well with our refurbished space. Lots of complements from clients as well and price was great too. Excellent product. Good quality. Chose black primer whilst I decide what colour to paint the radiator and it looks great. Ordered 2 radiators, delivered quickly when we wanted them, they are good quatlity. Ordered 4 radiators, valves, stays and shrouds. Delivered quickly where I wanted, look wonderful, highly recommended. 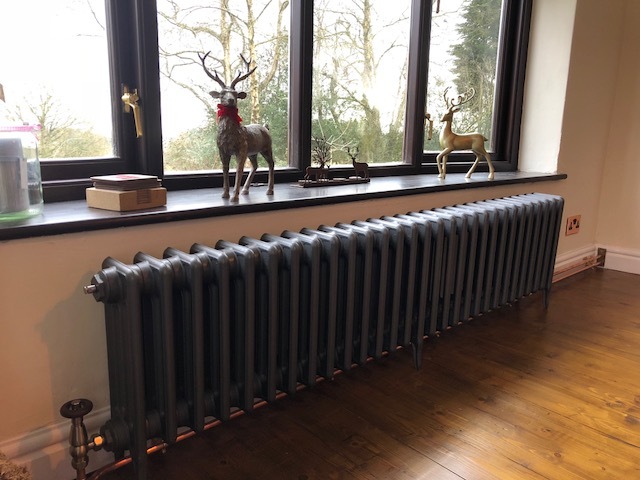 I am very happy with our new radiator which looks great in the bay below the window in the study. I found that my pre and post sale enquiries were answered promptly and effectively which makes a difference. 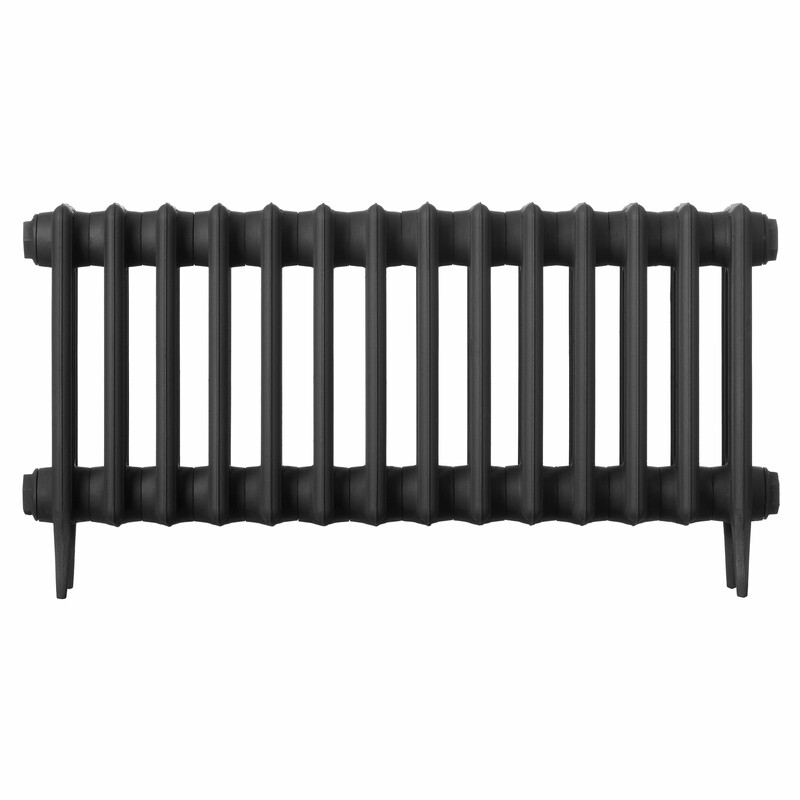 Ordered this radiator in the black primer so I could paint it myself. The radiator looks lovely, exactly what I wanted and the paint I used took really well to it. 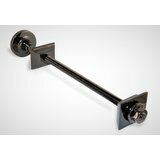 The service was great and made and delivered in the time stated. 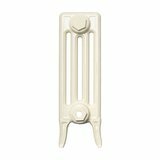 Ordered 2 radiators for our spare room as we are gradually changing the radiators throughout the house. So impressed with the value of these. We chose the bronze ones and fitted them this weekend. Delivery was fast and the whole ordering process was simple. Highly recommended. I found ever aspect of ordering the radiators was spot on, from the website to dealing over the phone. Paul was extremely helpful and the radiators are superb. 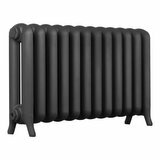 Fantastic radiator, looks amazing & great price! Will be buying more for the rest of the house. Simple to order & efficient delivery. Highly recommend. Efficient ordering process and delivery. We bought four of the Gunmetal Grey in two sizes, along with contrasting antique brass fittings and valves for our Victorian terrace. Installed easily by our plumbers who agreed they were beautiful. Finish is high quality and they look simply stunning. 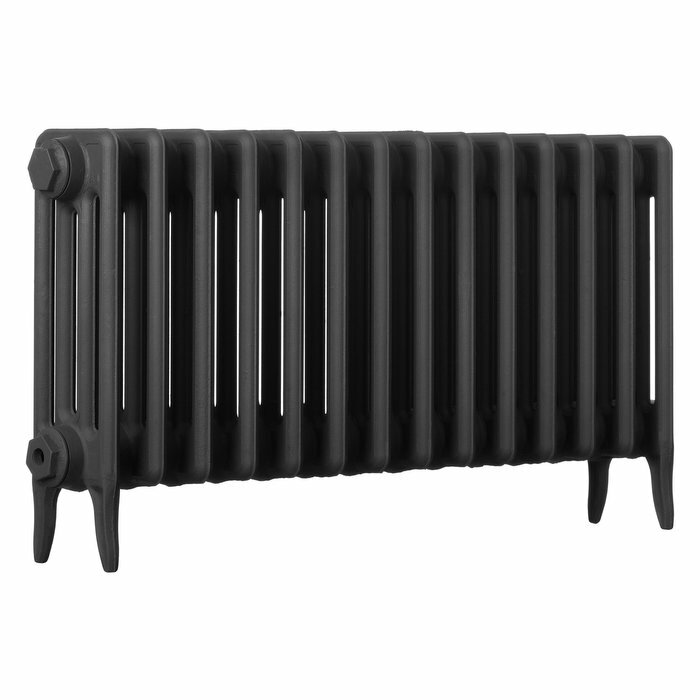 If you want an interesting radiator that is a feature but affordable, buy this. we ordered 3 radiators, sprayed in grey. just had them installed and they look stunning. great service, great product, highly recommend. 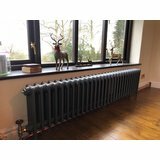 Ordered 3 different sized radiators, not yet installed but look great in our new home, good, value, very good delivery and communication from all parties involved. Will be ordering more. We were very pleased with the quality and style of these beautiful radiators. But be aware that they are extremely heavy and will need to persons to move them. Very pleased with the radiator. The colour is excellent and it fits perfectly where we wanted it in a small bathroom. Ordering online was easy and there were no problems with delivery. Would use again. 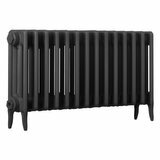 We bought this radiator in gunmetal grey and it looks gorgeous. Fits perfectly under our bay window, the heat output is great and the heating engineer had no problem fitting it to our existing central heating system. Easy ordering online and delivery fine. Our second order and once again, easy to order and great advice given, brilliant price and quick service. Delivery good too- will recommend and reorder! 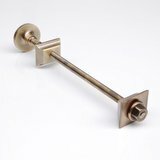 Beautiful finish and no hassle delivery. Will definitely buy again. All round good service and a quality product. After ordering the wrong radiator, CDC were more than happy to change my order (even though I was going to spending less) and got straight back to me to sort out a refund. 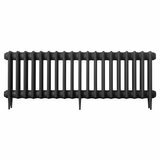 The radiators themselves are great and the price is the best I found on the internet. Anyway, I for one would recommend CDC to anyone (and no, Iâ€™m not on commission, although I open to offers). Just wanted to say a BIG thank you for looking after us. We ordered on the Monday, cast iron radiators arrived on the Wednesday & fitted on the Thursday with no problems. You were right also about the Gun Metal, it looks fabulous. Thanks again & we will be in touch soon when the extension is finished to get some more. 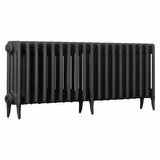 Fabulous radiator, not the rubbish you can find in some reclamation yards. I was able to put the brass ends on i purchased from Conventry Demolition also and fit the radiator in where my old horrid white one once was. These raditors are simply fabulous, delivery was quick and they were VERY nice to deal with.